Car was totaled due to hail, so I'm parting with all my goodies. 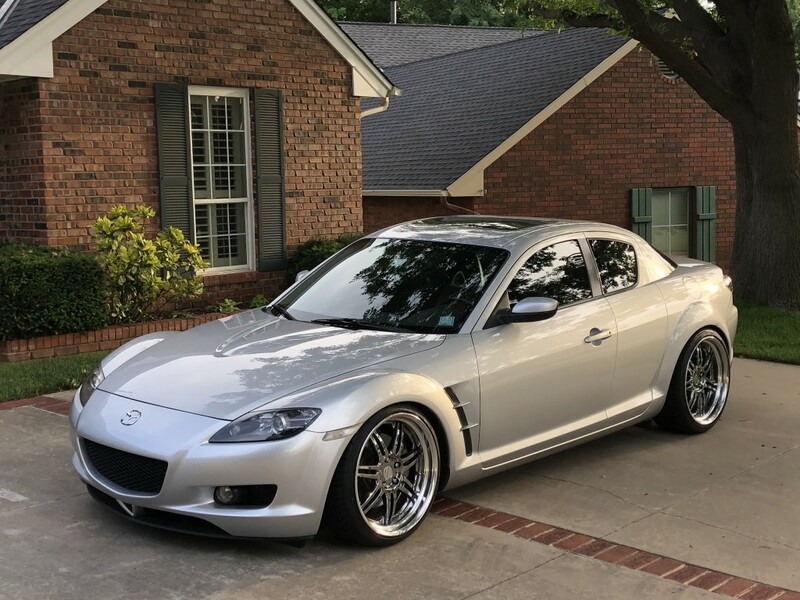 Everything has been removed from my OG original-owner 2004 RX-8 Grand Touring at 85k miles. Located in Edmond, OK 73013. Will ship everything to lower 48 states at buyer’s expense. I will be updating this thread regularly with new pics and information as requested by forum members. Message me if you want to see or know about something in particular. Has tiny paint chip where the outer bezel meets the H-pattern reference insert, which makes it less noticeable. Plug and play install on factory trunk trim. Comes with net and fasteners. In perfect working condition, no cracks or breaks. Perfect replacement for your broken/missing one. HUGE photo update! 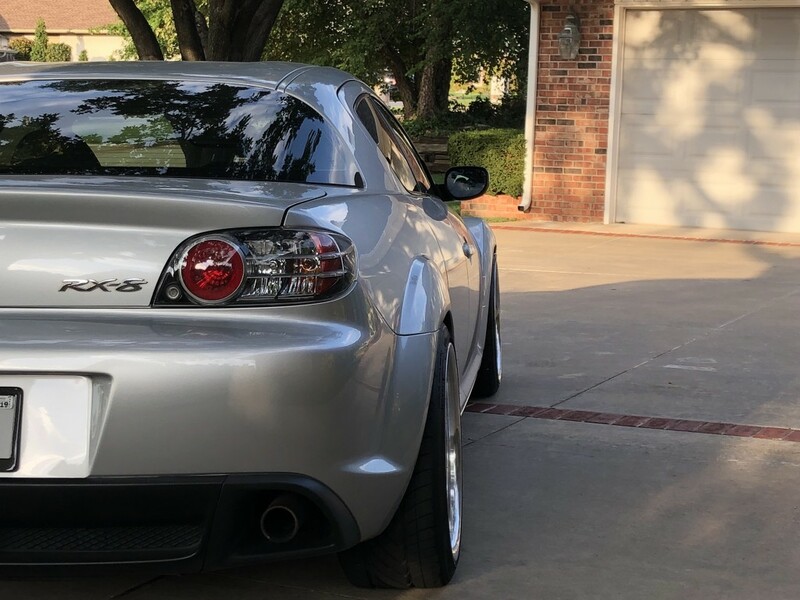 Added GarageLine 25mm spacers for OEM 18s and Mazda Instant Mobility System. Ohlins Instructions - Know Japanese??? Come In! Ohlins Instruction Translation Help! Please!